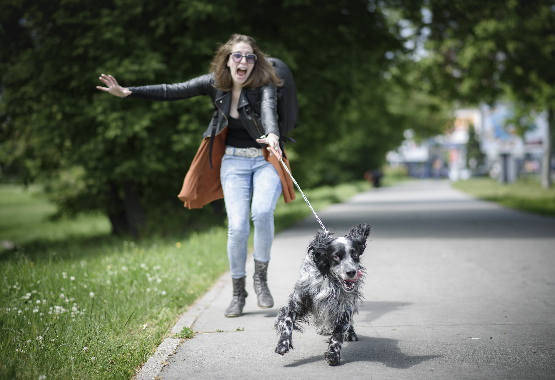 Does your dog practically pull your arm off when you take him for a walk? Has it become so unpleasant that you no longer want to walk your dog? Well, you’re not alone. Pulling on a leash is a common behaviour in dogs and it’s one that most dog owners want to overcome. How do you do that in a kind and gentle way without choking and forcing your dog? You’ll find the answer in this article. 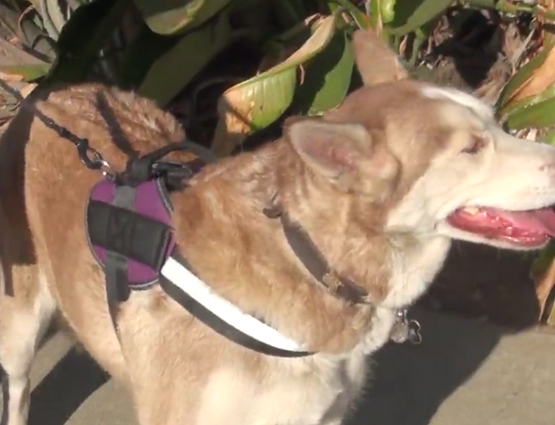 A side ring Harness NOT ONLY very quickly stops lunging and pulling BUT ALSO has the massive bonus of helping your dog connect and bond with you on walks. With their constant attention back to you, this will make them see you as the pack leader which will make other training and discipline easier as well. This is all done with no choking, no forcing, and no damage to your dog’s throat and sensitive trachea area. The world's top dog trainers agree that your dog should see you as the leader in order to walk properly. Choke collars only make the problem worse. The tighter the collar gets, the more he will pull. It’s a vicious cycle. In addition, choke chain collars and prong or pinch collars are painful and can actually damage your dog’s trachea. There is no need to hurt your dog because he is just doing what comes naturally. 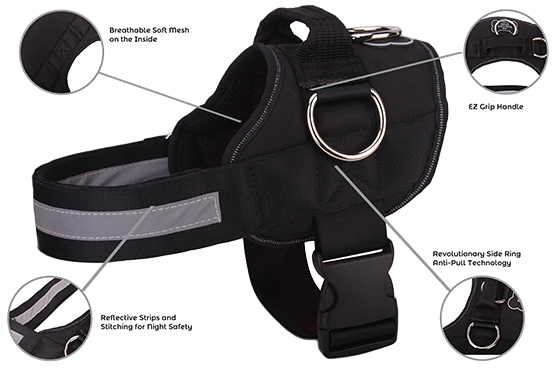 The #1 recommended side ring harness is The Pug Life All-in-One™ Dog Harness. It not only works as a great walking trainer but it comes with a long list of features making it a complete harness for all weather and all purposes. It comes in 8 different colors to match your dog's personality perfectly and it's comfortable for them to wear for long walks or short works. It's a wonderful, choke-free solution to a standard collar. Want to see the harness in action? 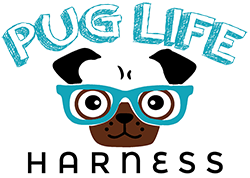 🐾 Dog Walking🐾 Now made easy with the Revolutionary NEW PugLife All-In-One Dog Harness. 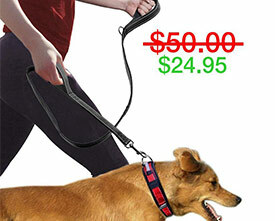 Designed with top-quality durable but soft heavy duty nylon, our dog leash features 2 handles, one at the end of the leash at 6ft and another at 1ft from the clip. This is a great harness. I have a pug and they are hard to fit because of their weird shape but I got a medium in the Puglife Harness and it fits perfect. I have adjusted the chest piece to fit my pug’s larger chest and its the best fitting harness I have ever bought for her. 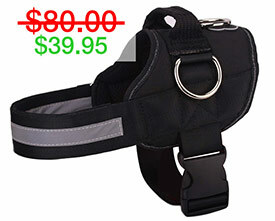 This harness is very sturdy and very stylish, we get compliments on it everywhere we go. My Scooter loves it. It goes on him in 2 seconds and comes off easy as well. This company makes really high quality harnesses, I got him the blue one and the red one. We just got our harness and leash set from Puglife and we are pleasantly surprised because they turned out better than we thought they would. The handle works great on my older dog because I can help her up the stairs and into the car. The side ring works well for my younger dog who is a puller but not anymore. My neighbor even liked it so much that she even bought one for her own dog. This is the perfect harness for my english bulldog! he actually loves it and walks better with this, thank you!